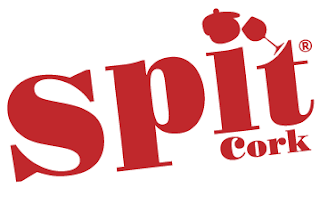 The Winemason do Spit in Cork. Last week, one hundred bottles of “wine without make-up” were up for tasting in the River Lee Hotel thanks to the combined efforts of four Dublin wine companies. Spit, as the combination is called, consists of Winemason, Nomad Wine, Vinostito, and Grapecircus and virtually all the wines were organic. And there wasn't a dud among them. In this post, we’ll look at Ben Mason and his Winemason contribution. Graham was helping Ben in the River Lee and I asked him if there was a wine on the stand that deserved to be better known, one that was maybe under-appreciated at present, and he soon filled me a taster of the Julien Schaal Mountain Vineyards Chardonnay 2016. The winery is in Elgin Ridge, South Africa, the winemaker is “from Alsace” and the wine itself is very pleasantly distinctive. Crisp on the palate with citrusy flavours and minerality, tart on the finish, very engaging indeed. I had picked a trio of Rieslings and started with one from the Nahe region, the ES Trocken 2016 by Emrich Schonleber. Quite intense on the palate, with a light spiciness and outstanding minerality. My favourite kind of Riesling. The next Riesling came from the Mosel and was the Zeppelin (Mulheim) 2016 by Max Ferdinand Richter. 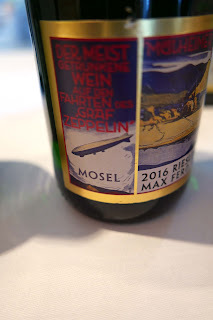 Apparently this wine was served on the flying Zeppelins. This too is elegant, no shortage of minerality, well balanced, and it is the tropical nature of the fruit flavours that catches your attention. And, if we were in the skies for the Zeppelin, we now moved up a notch to the Kingdom of Heaven with the JJ Prum Graacher Himmelreich Riesling Kabinett 2016, the Himmelreich being the heaven. Here the aromas are a subtle but tempting floral, it is soft and fruity right through to a sustained finalé. Quite a hat trick of Rieslings there! Ben had a superb selection of reds also but again I focused on a hat trick, all from Portugal, an area where Winemason is strong though Ben has noted that prices are rising there. First up was the Mouchao Dom Rafael Tinto 2015 from Alentejo, a blend of Alicante Bouschet, Aragonez, Trincadeira. Ripe dark fruits and tannins, a bit of spice too, combine in a rich and complex wine. Next we called to the Lisbon area and tasted the Fossil Tinto 2015 by Vale da Capucha, an organic producer; this a blend of Touriga Nacional, Tinta Roriz and Syrah. Rich dark fruits, hints of spice, fresh and elegant, and with a long dry finish. Excellent. Then I enjoyed very much the Niepoort Vertente 2015 from the Douro, enjoyed it as Graham sang its praises: the rich blend (Tinta Roriz, Touriga Nacional and others), its long dry finish. “And it’s low in alcohol as well,” he said. It’s a gem, elegant and smooth. One to stock up on before those prices rise or even when they do! Would have loved to have stayed longer and tried more of the Winemason wines, including those from Austria and South Africa, but time to move on up the line! Here’s to the next Spit. Grapecircus at Spit Cork. Fantasia. Insania. Campania. Italia. Enrico Fantasia is enthusiastic about wine #77 on his stand at the Spit Cork event in the River Lee Hotel. It is Falanghina ‘Insania’ 2016 by Bambinuto. That Falanghina is the grape variety and the best known variety from this area in Campania is Greco di Tufo which is also produced by Bambinuto. The vineyard is about an hour east of Naples, yet in 2006 Marilena Aufiero was told she was mad to start her operation here, hence the name Insania. “She took a chance,” said an admiring Enrico, the man behind Grapecircus who are best known for Italian wines. The wine, which has spent six month on lees, is delicious, fresh with minerality. This, and others from the Grapecircus portfolio, are available via Sheridan’s Cheesemongers. Others available online via SIYPS. Traditionally, the Castelli dei Jesi wine-producing zone in eastern Italy is noted for its Verdicchio and Enrico’s example was the Saltatempo 2016 produced by La Marca de San Michele. Verdicchio apparently means the little green one and there are tints of green in the colour and apple notes on the palate. This one is soft and round with a crisp acidity and a pleasant slightly bitter finish. My next white came from the Mengoba vineyard in Bierzo, Spain, the Brezo Blanco 2016. It is a Godello with some Dõna Blanca, produced more or less organically but with no certification. This relatively full-bodied wine has responded well to five months on lees, pretty intense and with a strikingly long finish. I had intended to try his Muscadet but Enrico wasn't happy with the bottles supplied - just goes to show his professionalism - so I switched my attention to the Albarino. A taster alongside me remarked there is no such thing as a bad Albarino and this Saras 2015 by Entre Os Rios was another good one. Good colour and aroma (tropical fruits), a richer style perhaps than usual, fruity, juicy and a long dry finish. Aileen took me through some of the Grapecircus reds, a brilliant mini-tour, mainly through Italy. 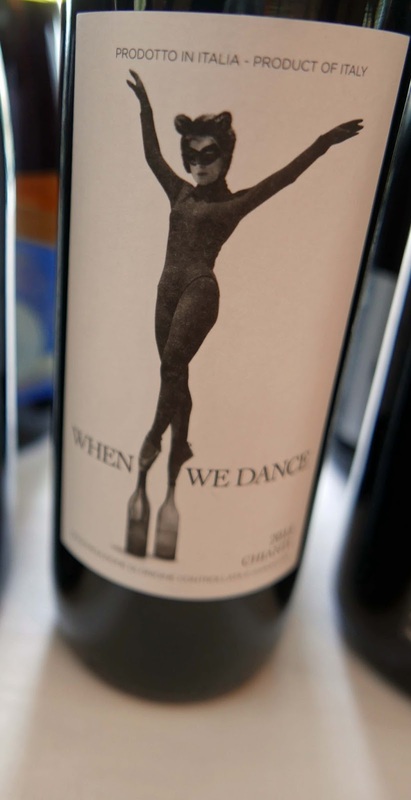 Starting with When We Dance 2015, the Chianti by the Sting co-owned winery Tenuta Il Palagio. “It is the entry level wine,” Aileen said. “they are just outside the Classico area so it is good value and 2015 was a very good year.” And indeed, this is a very good wine, cherry prominent, and fresh, organic of course. A quick step over to France and to Bourgueil by the Loire and a tasting of Yannick Amirault’s La Coudraye 2016. Yannick is “one of the top producers and is certified organic.” Cabernet Franc is the red grape all around this area. It is noted for its freshness and that shone through this lovely rich wine, Aileen describing it as dense. Back to Tuscany now and the Rosso de Montalcino Banditella 2014, produced from Sangiovese grapes by Col D’Orcia. This is a super wine from “the area's third largest producer”. “But the focus is on quality. It was a tough year in 2014 but good producers produce good wine even in bad years.” The winery was certified organic in 1999 and this red is a beauty, balanced, great finish. The Marche in Italy wasn't too far away and my final stop was Fattoria San Lorenzo for their Rosso Piceno Burello 2014, a blend of 50/50 Sangiovese and Montepulciano, their top wine, rich but not heavy, superb and with a long long finish. 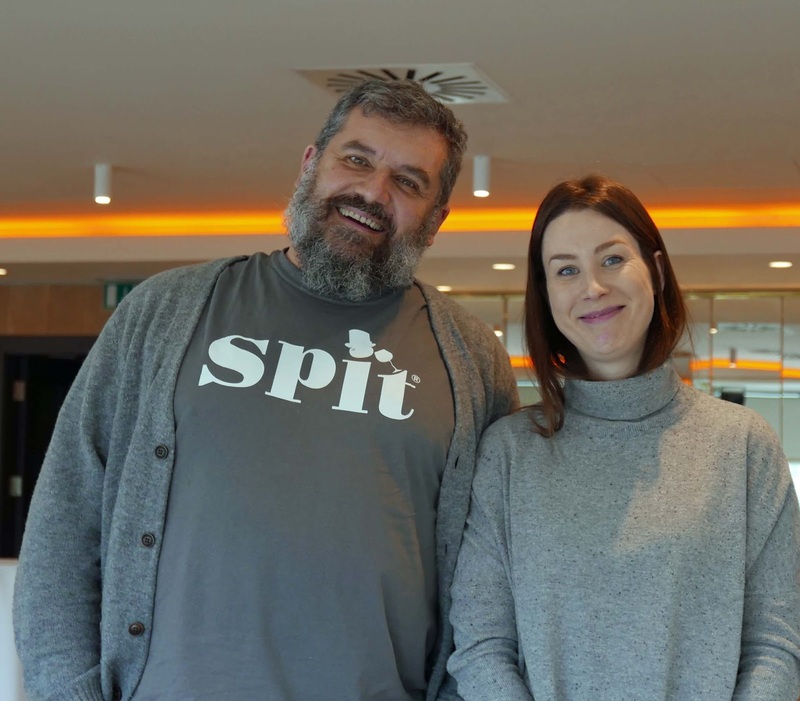 Last week, one hundred bottles of “wine without make-up” were up for tasting in the River Lee Hotel thanks to the combined efforts of four Dublin wine companies. Spit, as the combination is called, consists of Winemason, Nomad Wine, Vinostito, and Grapecircus and virtually all the wines were organic. And there wasn't a dud among them. Nomad Wine at Spit Cork. The Pick of Burgundy. Nomad Wine has for the past decade been known as the Burgundy specialists in Ireland. 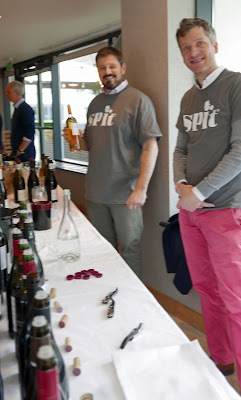 Jérémy Delannoy, who joined founders Thierry Grillet and Charles Derain in 2016, told me that they have expanded into “lesser known regions of France” and that was evident on their stand at Spit Cork. But Burgundy lovers need not fret. They travel there each year to taste the new vintages. With both the founders in the restaurant business, they are strong on food and wine pairings. Vermentino from the Languedoc is perhaps an unexpected wine on the list but the Domaine Provenquire IGP Pays D’Oc 2016 caught my eye. Very pale yet very enjoyable with the “creaminess” typical of the variety. Some Beaujolais Chardonnay ends up, quite legitimately, as Burgundy and it is rare enough to find a Beaujolais white in Ireland. Here’s a good one to try: Domaine des Nugues Beaujolais Village 2016, moderate fruity aromas, fresh and pure on the palate, with an impressively long finish. Jérémy pointed me in the direction of Domaine Goisot, first to their Bourgogne Aligoté 2016. Green highlights in the light gold colour, a melange of floral and fruit in the aromas, also on the palate, a little spice too, well balanced with a long finish. But the big surprise from this producer was the Saint Bris “Exogyra Virgula” 2015, the surprise being that the grape variety was Sauvignon Blanc, a really different and very interesting expression of the grape. Citrus and floral on the nose continue on to the palate where you’ll also note some spice. Drink it young. It goes well with seafood, shellfish, fish, calf sweetbreads, cheese soufflés, goat cheese, Comté, Emmental, Munster and Roquefort cheese. By the way, both Goisot wines have a recommended serving temperature of 12 to 13 degrees. Perhaps my favourite white here was the Jurançon Sec La Part Davant 2015 by Cavin Larredya, a blend of Gros Manseng, Petit Manseng, and Petit Courbou. Peach aromas, but also floral, continued on the velvety palate all the way to a long and satisfying finish. Then I moved from the south west foothills to the Rhone for the first of reds: Domaine des Lises Equinoxe Crozes-Hermitage 2016. a delicious Syrah, ripe black fruit and lingering finish. From there it was Burgundy and Pinot Noir all the way, starting with Les Tilles 2014 by Domaine Jacques Cacheux, a striking amalgam of red berry fruit and then a long finish. “Drink now or in another year,” advised Jérémy. Soon he was pouring the Domaine Raquillet Mercurey Vieilles Vignes 2016. Not too much to say here: beautiful fruit, beautiful body, beautiful finish. Back a year now to the Maranges 1er Cru Clos de la Boutiere 2015 by Domaine Bachelet Monnot. This is a classic Burgundy with expressive aromas, great depth and texture, fresh acidity and so very well balanced, superb finish as well. Hard to beat that but Nomad had just the ticket: the biodynamically produced Vosne-Romanée Les Chalandins 2014 by Domaine Jacques Cacheux. Dark fruits on the nose, elegant and silky, complex, one sip to paradise. Great way to end my “visit” to Nomad! Many of the Nomad wines are available via SIYPS online. 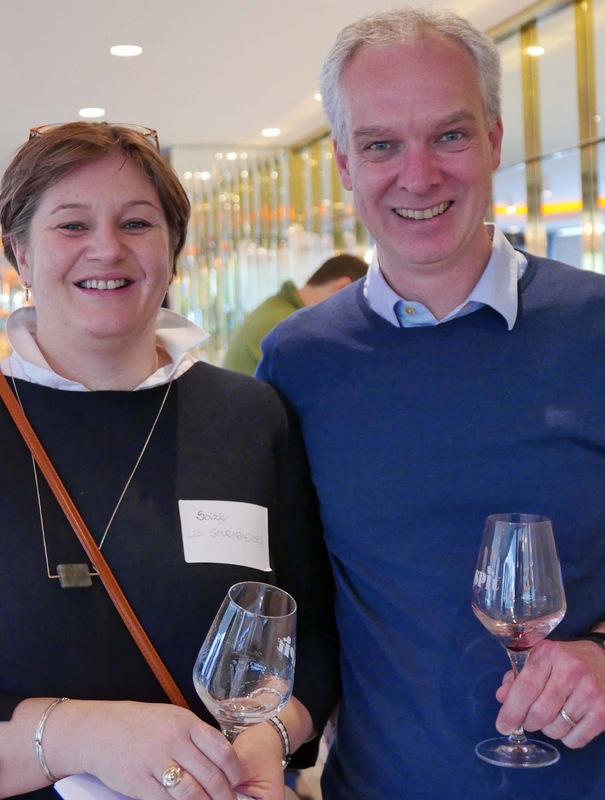 Last week, one hundred bottles of “wine without make-up” were up for tasting in the River Lee Hotel thanks to the combined efforts of four Dublin wine companies. Spit, as it as the combination is called, consists of Winemason, Nomad Wine, Vinostito, and Grapecircus and virtually all the wines were organic. And there wasn't a dud among them. 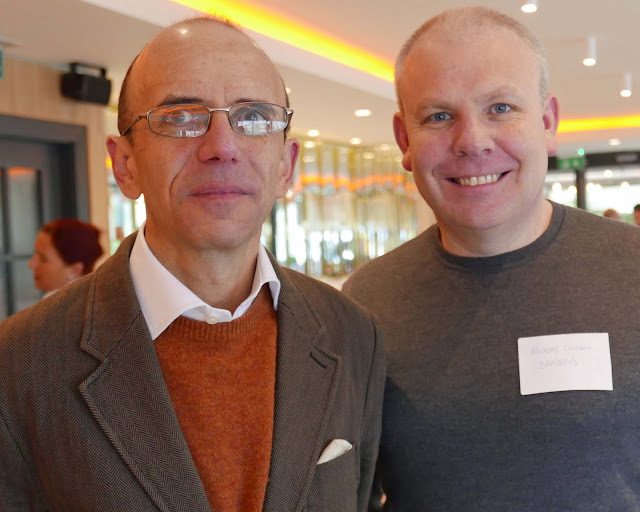 To read our account of the Vinostito stand, please click here . Also at Spit Cork Winemason and Grapecircus.